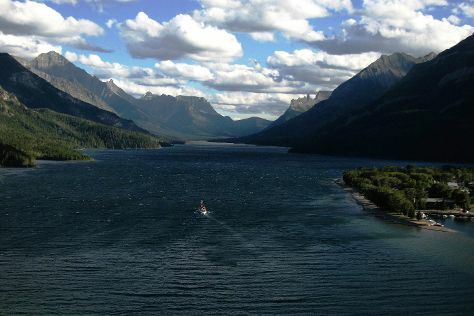 Spend the 3rd (Wed) exploring nature at Waterton-Glacier International Peace Park. There's lots more to do: explore the striking landscape at Grinnell Glacier, contemplate the waterfront views at McDonald Creek, trek along Iceberg Lake Trail, and appreciate the views at Logan Pass. To see where to stay, photos, and other tourist information, refer to the Glacier National Park trip itinerary builder . July in Glacier National Park sees daily highs of 85°F and lows of 49°F at night. Cap off your sightseeing on the 6th (Sat) early enough to travel back home.